Hello, welcome to my page, I am so glad you popped in. Why? Because I would love to help you plan your Baby Shower, well... I will try. I will concentrate on a checklist as it is one of the most important steps to insure a successful party. Follow this Baby Shower Checklist week by week, read the notes and take them into consideration and last, don't forget the tips. For your convenience I prepared a printable How to Plan a Baby Shower Checklist , printable Guest List and printable Gift List. Scroll down the page to print them. Please don't hesitate to contact us for any question that you might have. By sharing your comments in the Facebook box at the bottom of the page you will help us improve our suggested plan. Decide who will be plan the Baby Shower party. Decide on the date and time. Ask the honoree where she has registered for gifts. Will you plan this baby shower by yourself or get help from a cohost? Ask the expectant mom and dad what is their most convenient date and time to have the party. Who will pay for the party? Will you host the party at your home, at a friend's home or at a restaurant? Will it be an outdoor party ? Decide with the expectant mother and father who they want to invite to the baby shower. Setting the party on weekends is usually easier for most people. 2 hours is usually the average time a baby shower party lasts. Make a guest list with phone numbers and mailing addresses—as well as e-mail addresses, if you’ll be sending an Email invitation. If kids are invited make sure to have kids activities or babysitter for little ones. Choose the theme for the party. Send out the Baby Shower Invitations. Choose your favors and decorations. Choose your menu and beverages. Consult with the expectant mother about the theme. 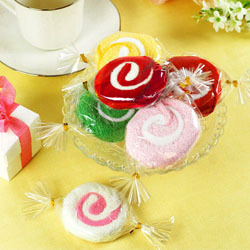 Are you planning to make favors or decorations by yourself or buy commercial ones? Are you going to prepare the food by yourself, order a caterer, or planning on asking others to make some of it? Consider the baby shower theme and incorporate it into the invitations, decorations, favors and food . Provide a map or directions to the location and an RSVP deadline of no later than a week before the date. Order the cake, flowers, rental chairs etc. from an outside vendor. Prepare the thank you notes. Choose the Baby Shower Games and buy some prizes. It is a good idea to ask the expectant mom if she approves the games (some games might make her or other guests feel uncomfortable). Most baby showers have 2 -4 baby shower games. You can play more than that or have none at all! Print out the guest list, with complete addresses, to give to the honoree or buy thank you cards yourself and address them for her. Click here for free printable baby shower games or fun baby shower game ideas. Prepare all the supplies that are needed to play, such as pencils, diapers etc. Follow up with guest who hasn’t responded and have your final guest list. Make sure the number of printable games that you print will be enough for all of your guests. Buy and wrap favors and prizes. Designate a photographer and prepare your video recorder and camera batteries. At this time, you should have received everyone's RSVP. Call anyone who hasn't responded so you will have a final guest list. Make sure you have a tutorial if you make favors by yourself. You don't have to buy printable games , there are a lot of free printable games on the web. Click here for a large variety of DIY baby shower favors that are practical, easy to make and sometimes inexpensive too. Click here for gift wrapping tips and ideas. Clean your house, or the place you are planning to hold the baby shower. Set up the baby shower room the way you have planned it. 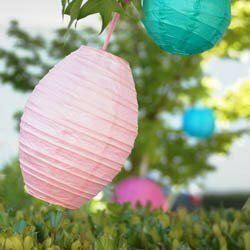 Decorate the party room with all your Baby Shower decorations. Pick up the cake, food, flower etc that you ordered. Prepare the Baby Shower food. Does the party room need more light? If the party is at home, make sure the temperature is comfortable. Turn on the air conditioning or the heater as needed. Step 4 - Did you finish decorating? Call the expectant mother and make sure she is ready for a party! Arrange the tables, food, and desert table. Decorate your table with a centerpiece. Set out baby shower favors on a table. Have all your baby shower game props, papers, prizes, and pens in one place so you know exactly where they are. Designate someone to help the expecting mom to record the gifts and the givers. Make sure you have plenty of ice to keep the beverage cool during the party. Play any mood music in the background. Make sure you take out any food or deserts from he freezer in time to thaw out. If you ordered balloons to decorate, pick them up early so you will have enough time to arrange them. And most important, don't forget to enjoy the day, don't worry it will be a Great Day! !